Heather C. Hili is an Associate in the Long Island, New York, office of Jackson Lewis P.C. Her practice focuses on representing employers in employment law matters, including wage and hour, discrimination, harassment and retaliation claims, as well as providing preventive advice and counseling. While attending law school, Ms. Hili was the Executive Notes & Comments Editor of the American Bankruptcy Institute Law Review and served as the Secretary of the Entertainment, Arts & Sports Law Society. During law school Ms. Hili was awarded first prize in the New York State Bar Association, Intellectual Property Law Section’s 14th Annual Law Student Writing Competition. 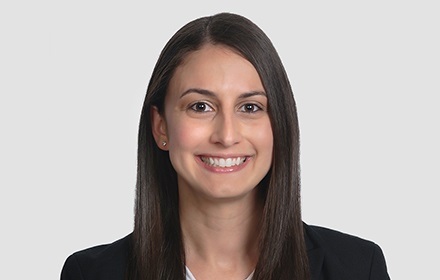 Prior to joining Jackson Lewis, Ms. Hili was an Associate in the Employment Practices Group in the New York City office of a national law firm. There, Ms. Hili provided advice and counseling to employers and represented employers in proceedings before federal courts, state courts, and administrative agencies.